Published by Joshua Clare-Flagg on 26 Mar, 2016. 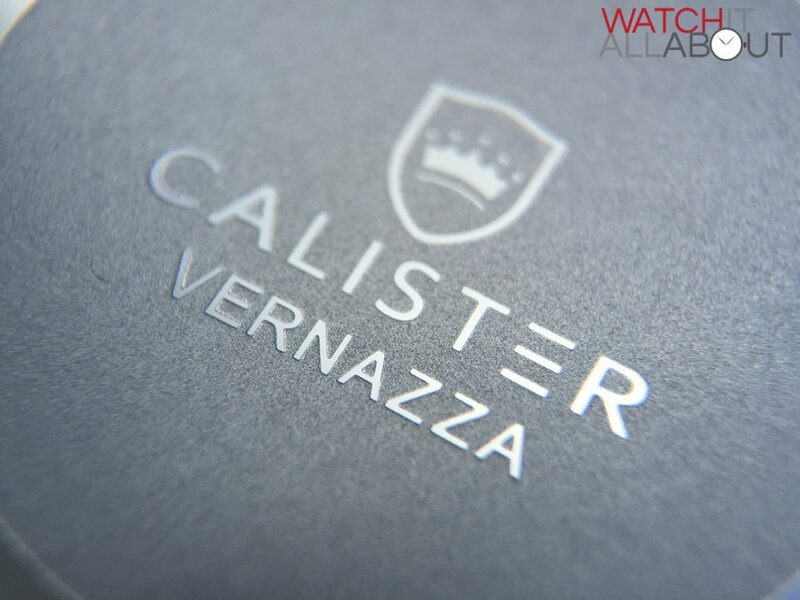 Calister Watches have snuck under the radar launching their new model, the Vernazza. 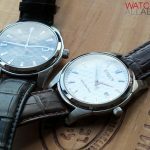 It’s a cross between an homage to the Tag Carerra and IWC Portuguesier – both of which are stunning and beautiful watches, so what could go wrong? Looking at the Calister Vernazza on the website, not a lot – I think it looks great. But how does it feel and look in real life? 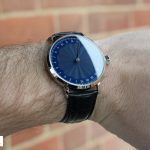 It’ll cost you $350 / £245, which is a pretty average price for a watch with a Swiss movement, sapphire crystal and butterfly clasp. Let’s take a look in closer detail to see if it’s a good buy. 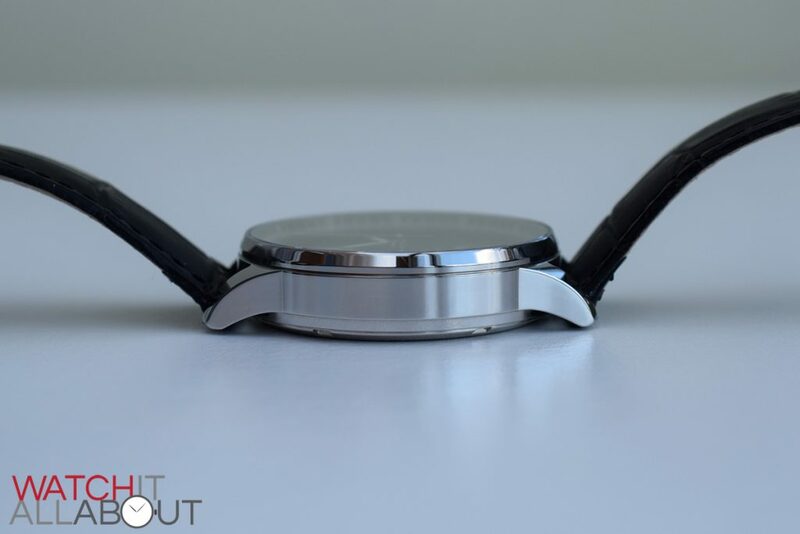 The case is fairly straight forward, being a straight barrel shape with neat, curved lugs. Measuring in at 41mm in diameter and 10.5mm tall, I find it is a lovely size for my 7 1/4” wrist. 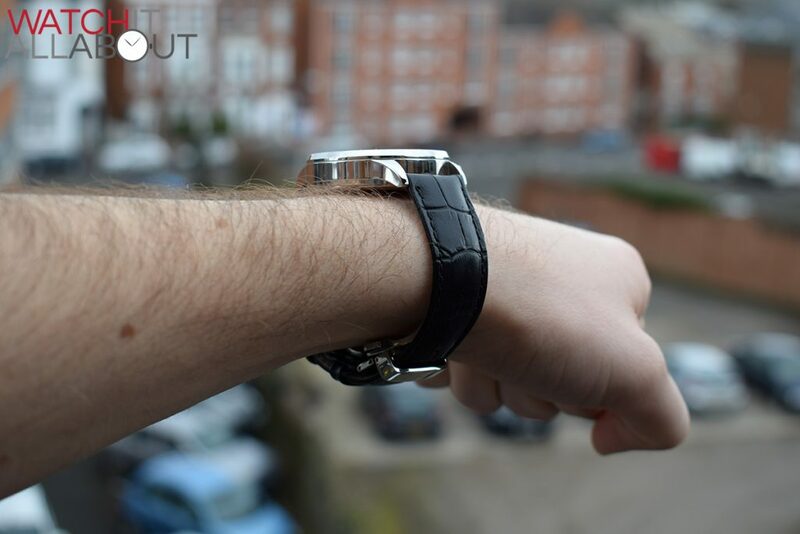 It provides a decent amount of wrist presence whilst not being too overbearing. 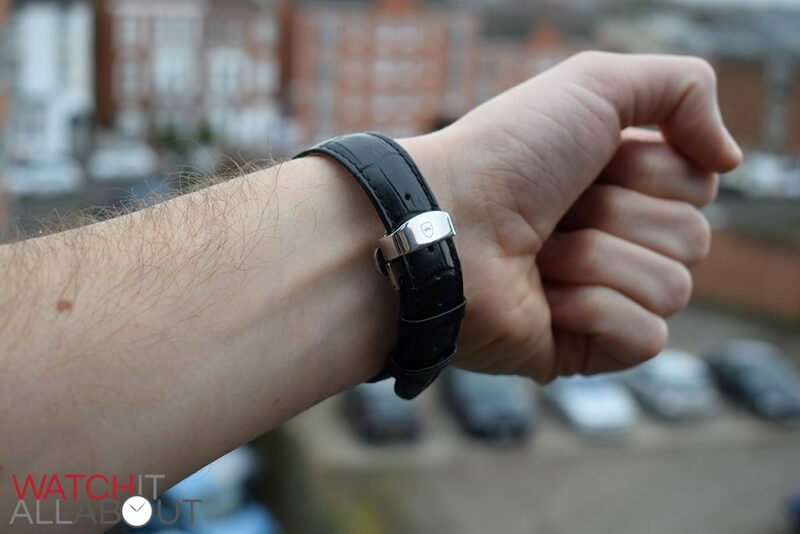 It also fits neatly under cuffs and shirts thanks to the relatively low profile that sits close to the wrist. It’s completely polished, and the finishing is good, with a number of different facets and angles. 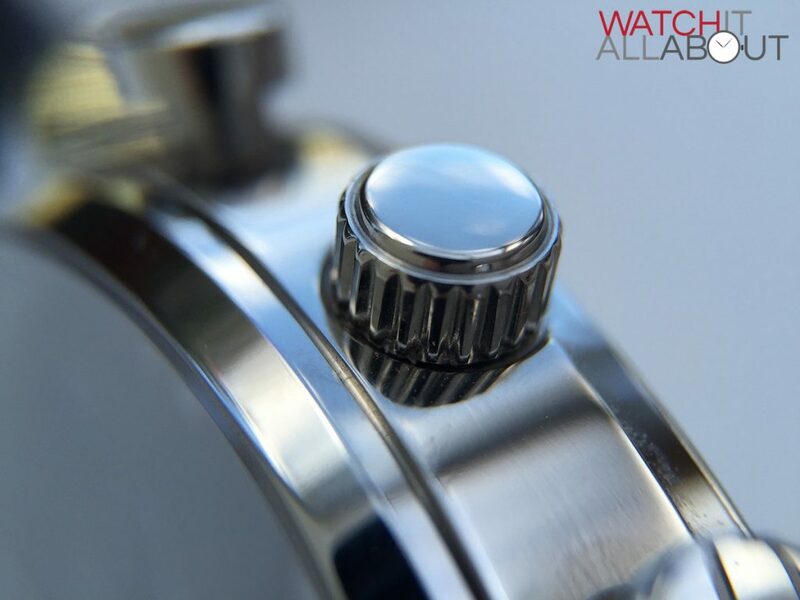 Sitting on top of the case is a sapphire crystal with anti-reflective coating on the underside. 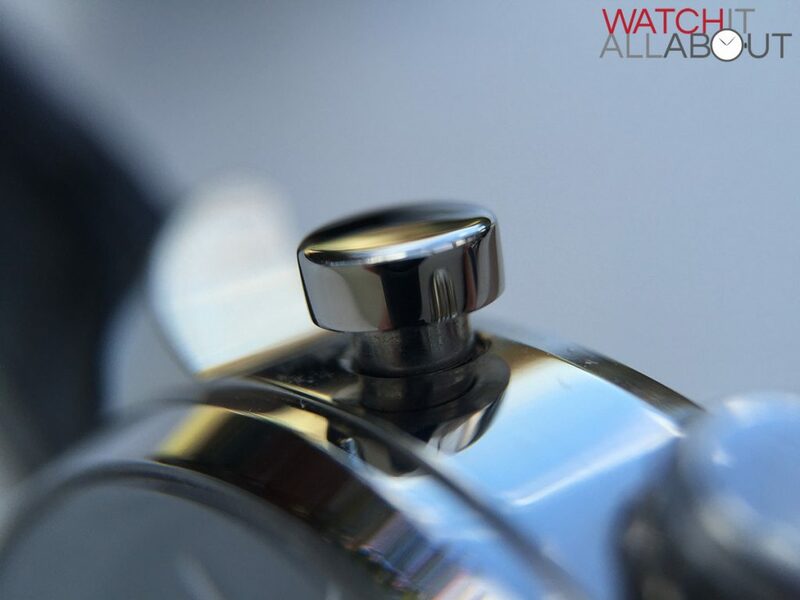 The coating doesn’t do too much, as you can still see plenty of reflections, but I never find AR coatings are that effective on affordable watches (apart from the rare stand-out performers). 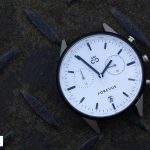 The pushers are a nice feature of the watch, with oversized ends – creating a proper pusher appearance and function. They give decent feedback when used, and are large enough to aim for easily. The crown is unsigned which is a shame. I think the Calister “shield” logo would look great here, but never mind. It’s pretty simple, being push-pull and a polished end. 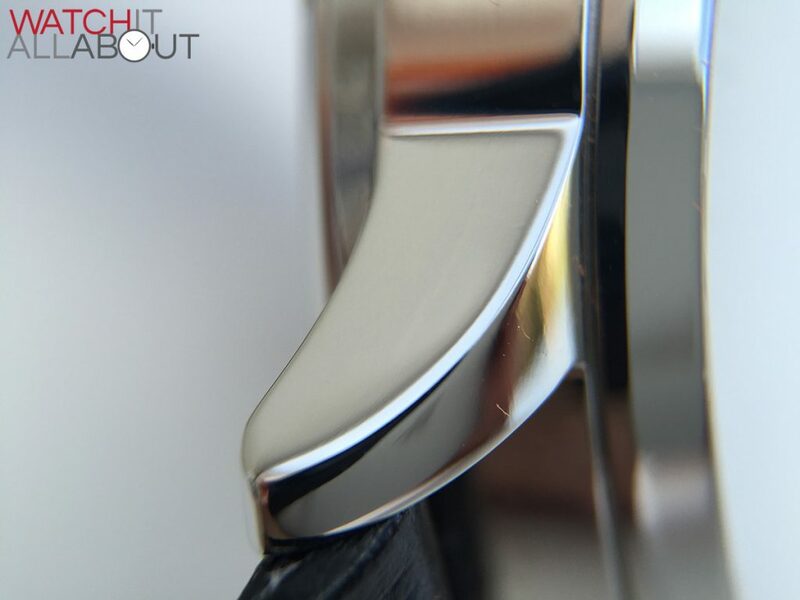 The grip is fairly minimal but gives you enough purchase to make any needed alterations. 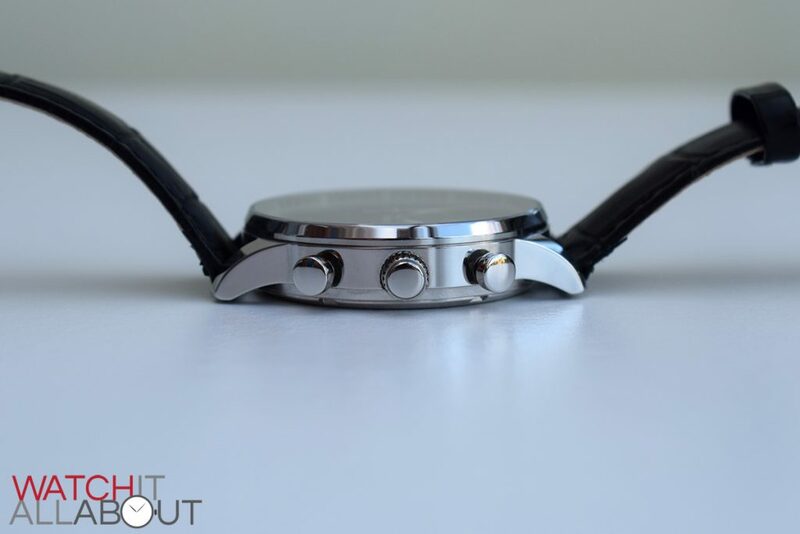 The screw-in caseback is fairly simple, with the most part being a blaster finish and all content raised and polished. A nice touch that is hard to get right, so I think it’s good to see the effort that’s been made. 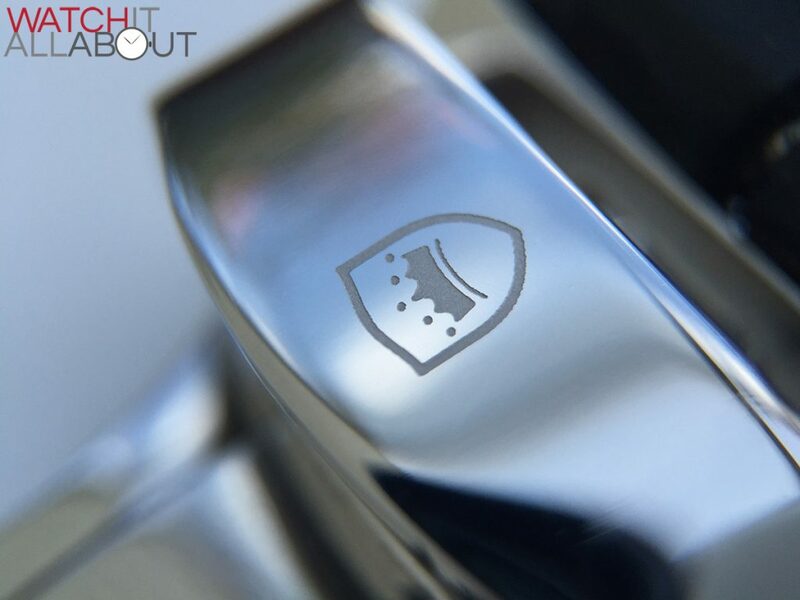 Although it’s simple, it’s not boring – thanks to the logo in the centre and all details surrounding it. 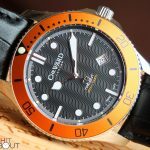 The watch has a low 50m water resistance rating, most likely due to the pushers and crown. So it’ll be ok for accidental water exposure but it’s definitely not a good idea to go swimming in it. The main thing going for the dial for me is the applied hour markers. 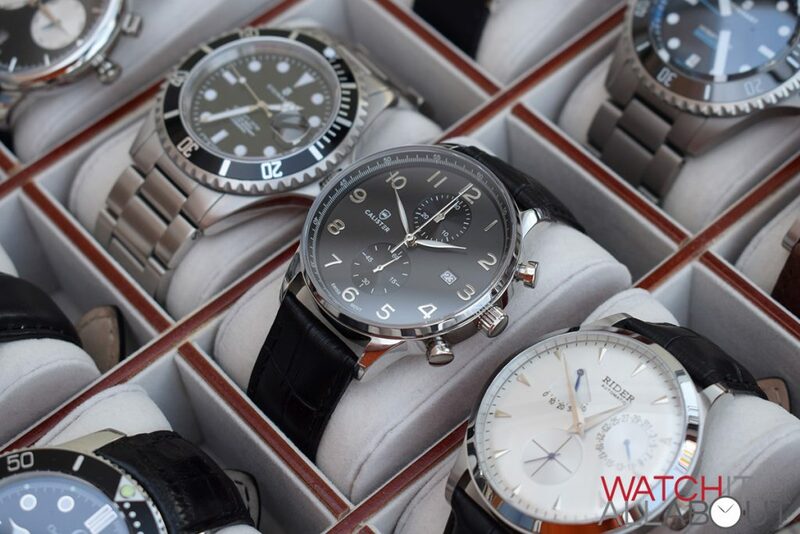 These are key for the Calister Vernazza’s resemblance to the Tag Heuer Carerra and IWC Portuguesier. 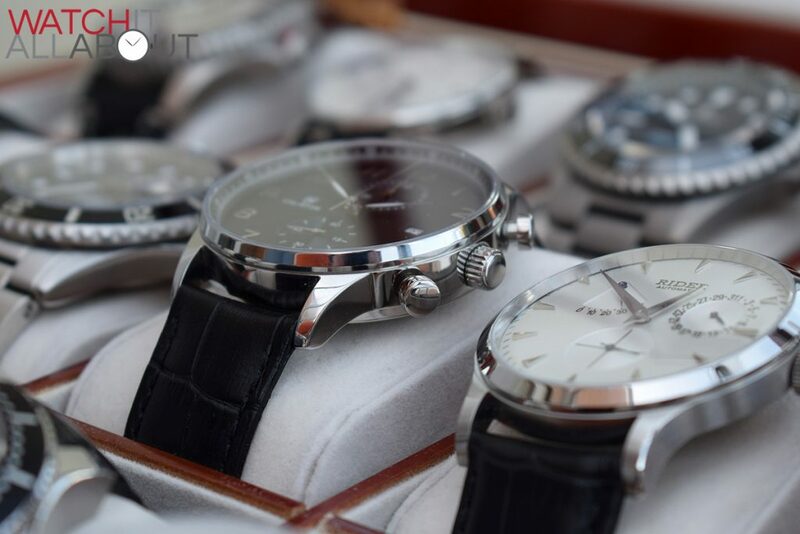 They’re polished, well made and applied, and therefore stand out when the light hits the dial. 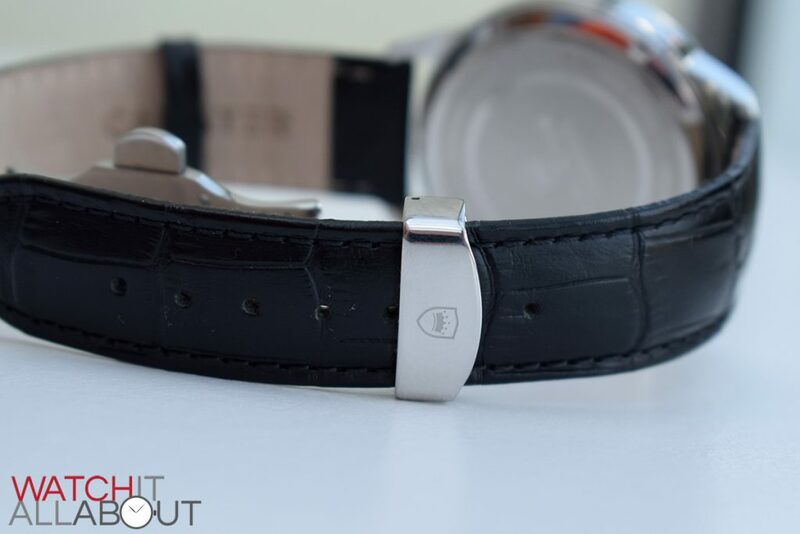 The hands also match this polished appearance, with a thin leaf-like shape to mimic the IWC Portuguesier. I also really like how the main dial has an extremely subtle sunburst effect. It’s not particularly visible at a glance, but upon closer inspection you can see the slight texture. It plays with the light well considering how minimal it is. The subdials have a concentric circular pattern, well done, and are inset into the dial. The printing within them is fair, and the hands are fairly straightforward arrows. 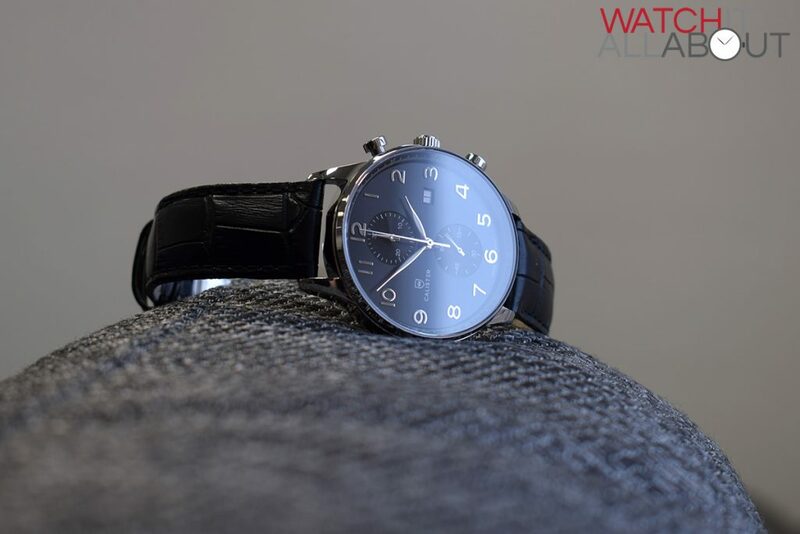 The rehaut contains a simple but effective minute track, and creates an illusion of the watch being bigger than it is, along with the thin bezel. 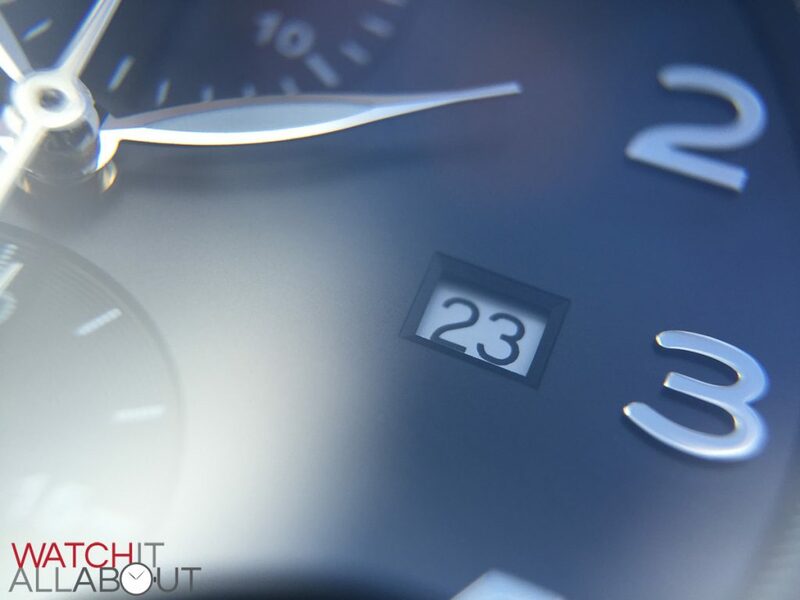 Located at the traditional 3 o’ clock position is the date window. 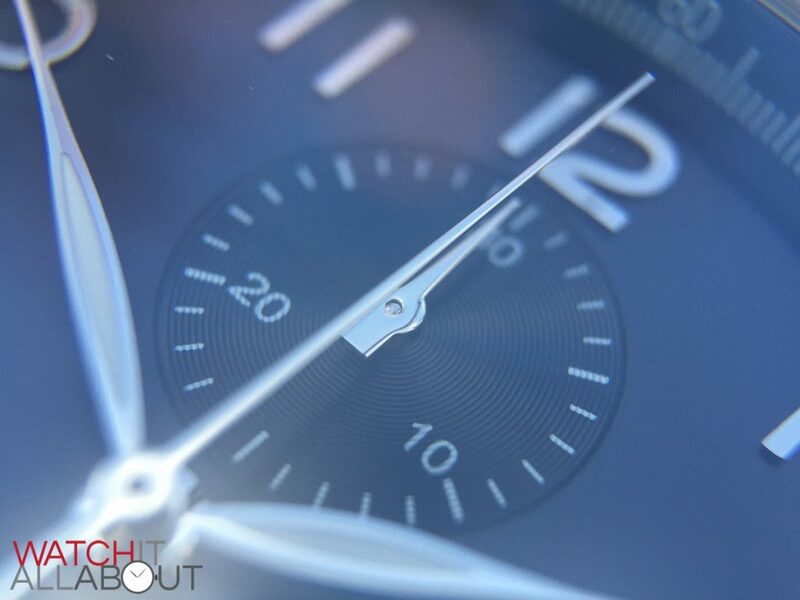 It’s not just cut straight out of the dial, but rather it has a small border around it – nice attention to detail. 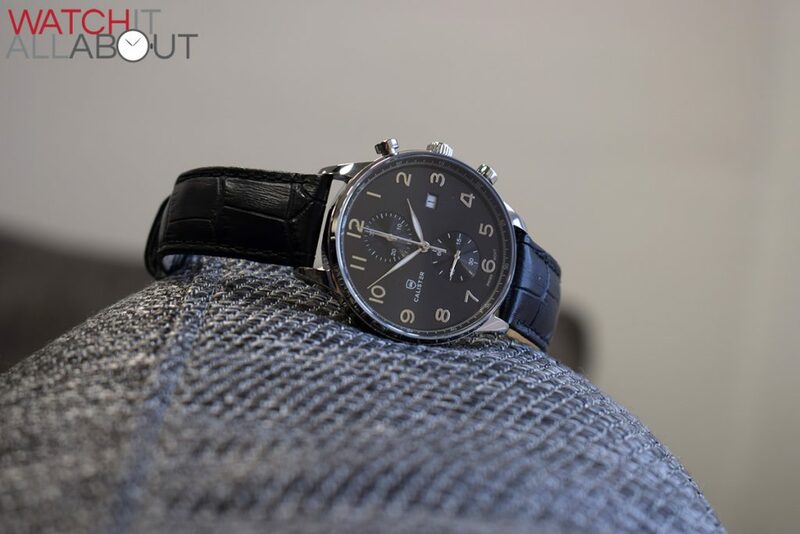 Some may worry about the white date wheel against the black dial, but affordable watches very rarely match them up to keep costs down, so I won’t lose any sleep over it. The printing across the dial, including the logo at 9, is all fair. It’s possibly a tad too thick and bold – I think it would have looked more defined if the font weight was toned down a small amount. 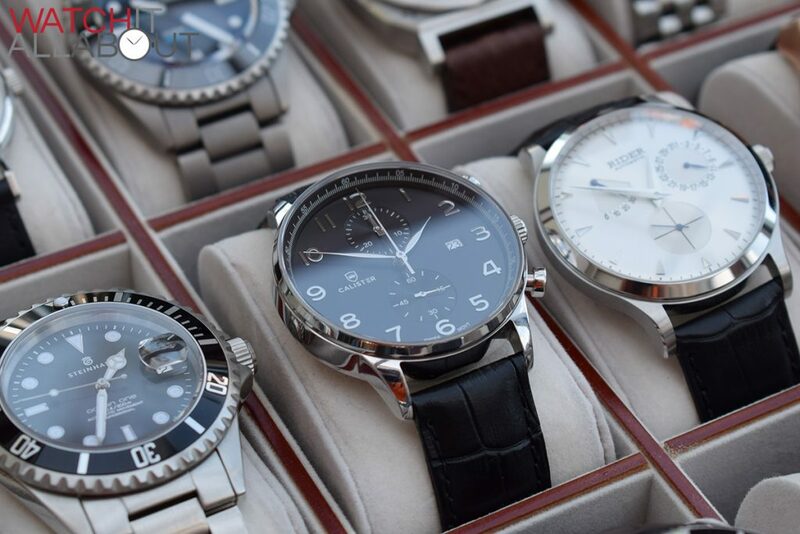 All in all, the dial is very attractive and made well. 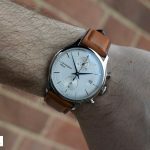 The strap measures 20mm at the lugs, reducing to 18mm at the buckle, and is made of premium Italian leather, and has proved to be very comfortable. It has a Crocodile grain imprint and the finish is a little bit more matt than patent, which I prefer. 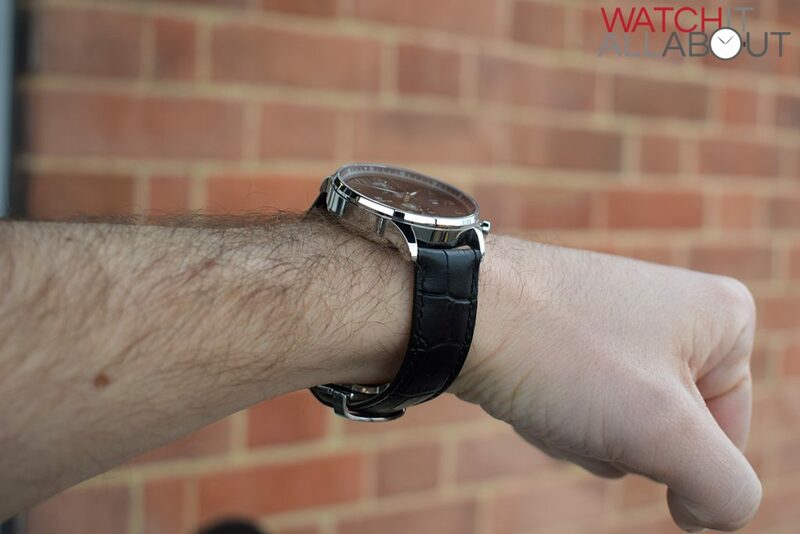 The underside is soft enough to not provide any discomfort when wearing the watch for a while. The strap is secured with a butterfly clasp. I really like them, as long as they’re nice and comfortable. 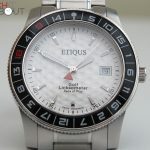 Sometimes you get one that’s really uncomfortable which doesn’t allow you to wear the watch for that long (see my review of the Erroyl Regent). Thankfully, the clasp on the Calister Vernazza is gentle on the wrist and fits in the right place. It’s well put together, and hasn’t accidentally popped open on me yet so it’s proved to be secure. It has the Calister “shield” logo deeply etched on the top bar, which has a bulge on one side rather than being a straight rectangle shape which is nice to see. 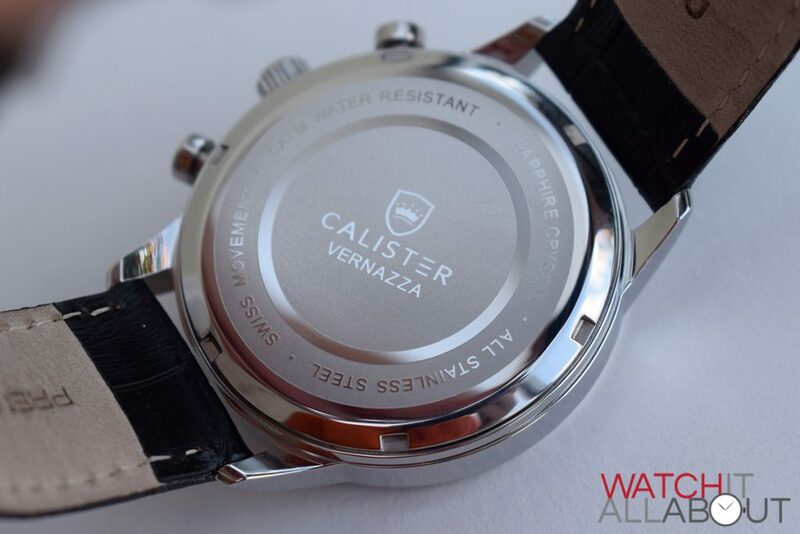 The movement in the Calister Vernazza is the Ronda 3520.D. 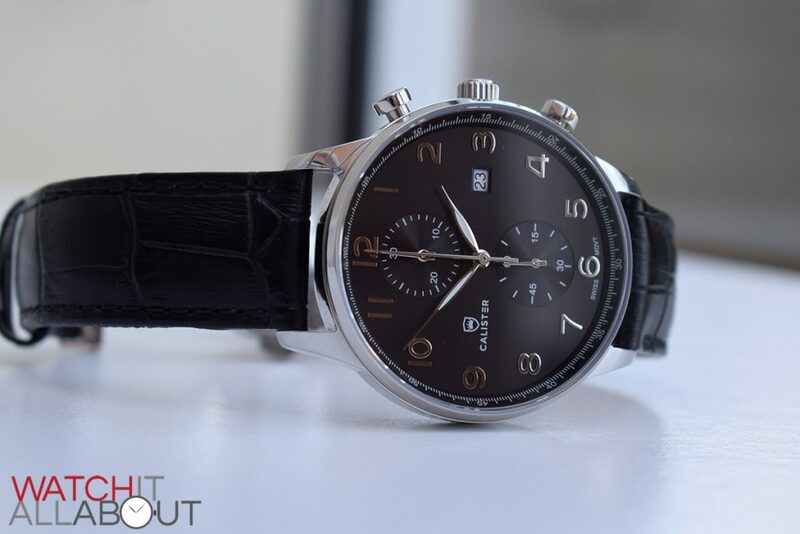 A Swiss Made chronograph, this is a workhorse that will be reliable and long lasting. Rather surprisingly, the battery life is 4 and a half years. It also rocks 4 jewels, and an accuracy of -10/+20 seconds a month. Both perfectly acceptable. The top pusher is the chronograph start / stop, and the bottom pusher is the chrono reset. The top subdial is a 30 minute chronograph counter, and the bottom is the small running seconds. It also has a date function (date is located at 3). Another useful feature is the split timer, so whilst the chrono is running, you can press the reset (bottom) pusher. The timing continues in the background but the chrono seconds hand stops. By pressing the reset pusher again, it advances to the current running time. All nice features for a quartz chronograph movement. 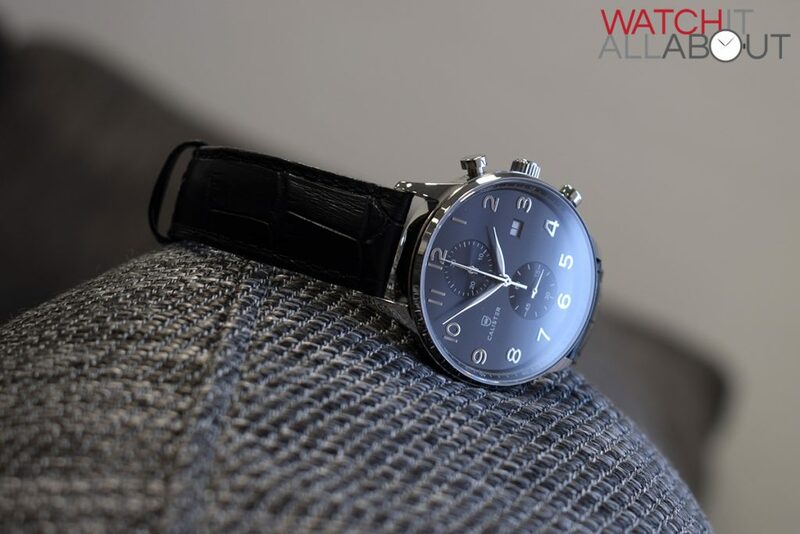 The design and styling of the Canister Vernazza is wonderful – mainly thanks to the work of Tag and IWC. But with a lack of alternatives in the affordable market, I think Calister have done a great job in filling that void. 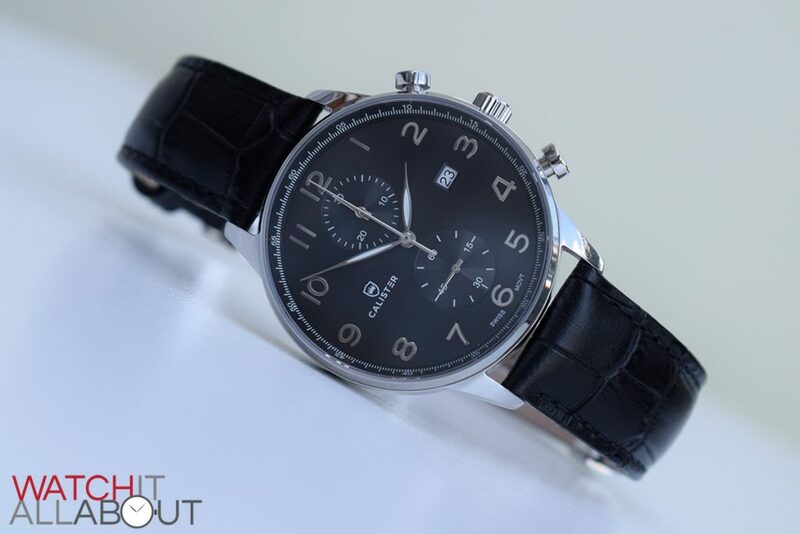 Whilst I wish it was under £200 (that would make it a very good buy), the £245 price tag is still a good price for a watch of this calibre. 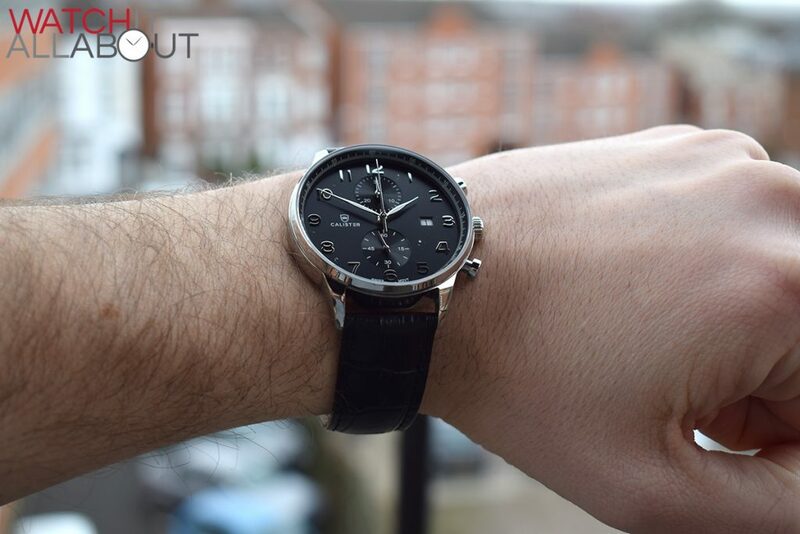 It certainly looks like an expensive timepiece, and feels good in the hand and on the wrist too. I personally really like it and think it would be a great addition to anyone’s collection. I’m between the Calister Vernazza and the Corniche 40. Do you have any direct comparisons since I haven’t seen either in person it’s making for a difficult decision. Thank you!